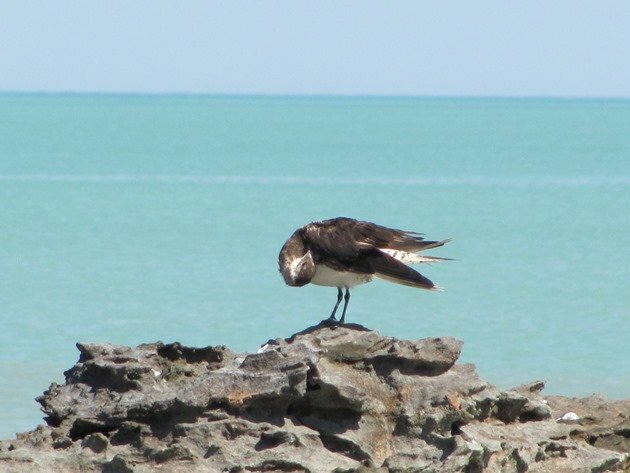 Whilst we were busy birding in Southern and Western Queensland earlier this year avoiding rain it was blowing a gale in Broome. At the end of February Cyclone Rusty travelled down the coast dumping rain and blowing in birds from far out at sea and there were some good observations. Amongst the birds blown off course was a Pomarine Jaeger and we had not expected to see it on our return. In actual fact we did not get a chance to go looking for it due to work commitments until May 10th. 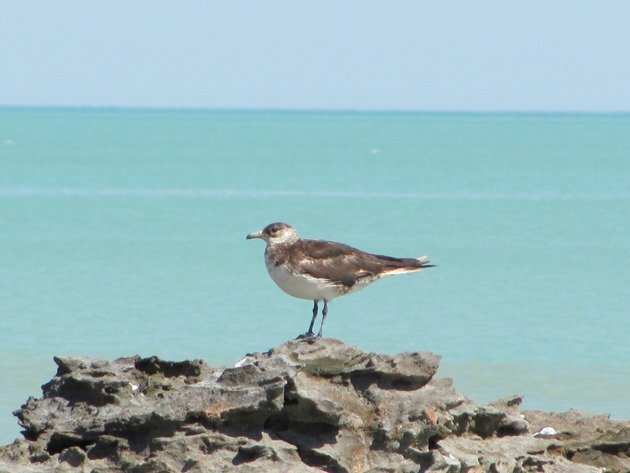 We ventured out onto the northern shores of Roebuck Bay, which is only a short drive from the township and our primary reason for the trip was to see the last of the migratory shorebirds before they headed north. The latest the Red Knot appear to leave on migration is May 15th and there were several Red Knot in full breeding plumage and with very round abdominal profiles amongst the shorebirds present. We recorded a few birds with individual markings and all of a sudden we had an intruder and the shorebirds took off. This was our first Pomarine Jaeger for 2013 and our first in Australia, so a significant find for us! 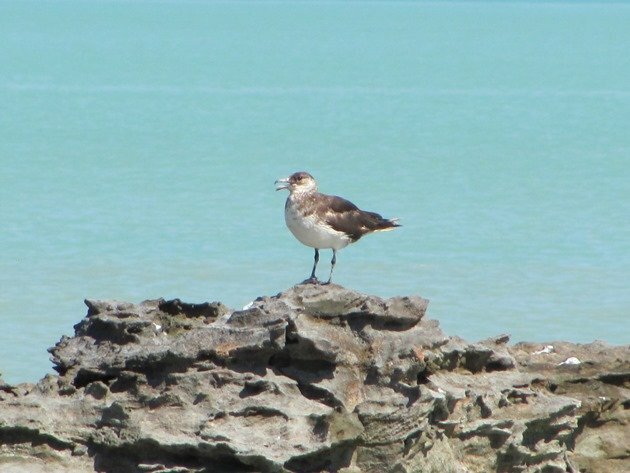 We were extremely cautious about getting close for some photographs, but it was not overly concerned and was more interested in preening and chasing terns for food. Eventually it decided to go back to sea and do some chasing and I was fortunate enough to get a photograph as it took off. Only four days later and we were on our way as well and we were in the Blue Mountains in New South Wales birding when two of the individually marked Red Knot were observed in the Yellow Sea. 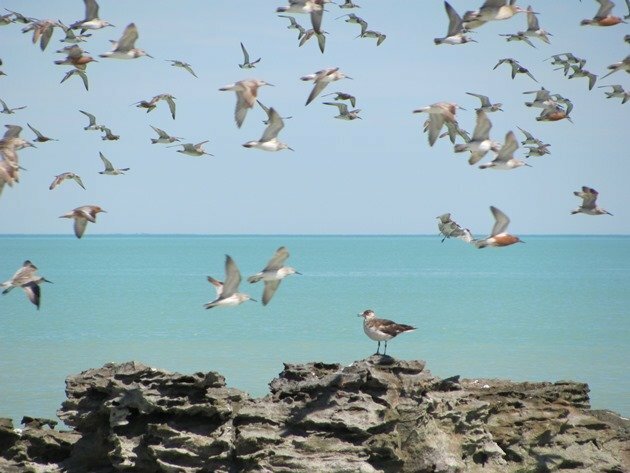 They had left Broome possibly on May 10th or later and were observed feeding on a mudflat before they continued their journey north. 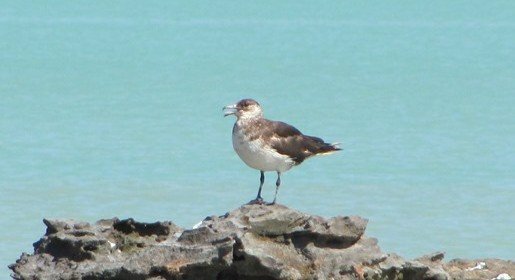 The Pomarine Jaeger has remained in Broome and it appears it is surviving well along the coast of Broome as it harasses terns for food. 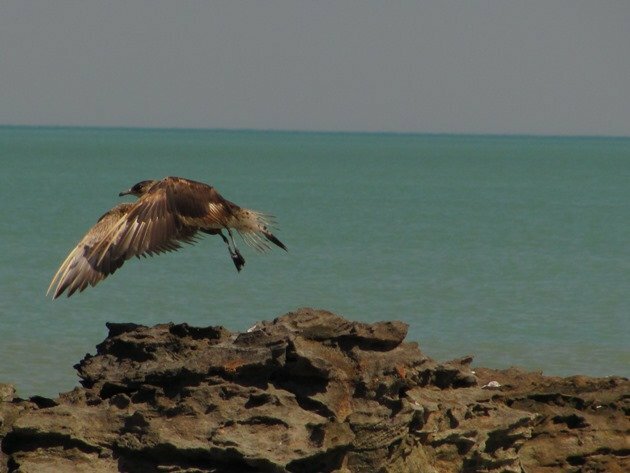 No doubt one day it will venture back out to sea, but for now it is still present in Roebuck Bay. 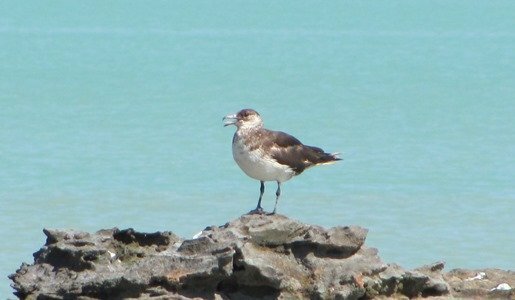 I managed a Parasitic Jaeger off New Zealand earlier this year! Well done! Hopefully more birds get off track and cross our paths this year!